In a plan outlined by the chief executives at Sony, the company is looking into ways it can beam its movies straight to its manufactured hardware, essentially cutting out the need of Blu-ray. The signs of change came this week when the company outlined its planned for a movie service via the PS3. But Sony isn't containing its movie streaming to its games consoles, as the company has also revealed that it is looking to deliver streaming movies and television to broadband-connected Bravia TVs in the US this autumn. 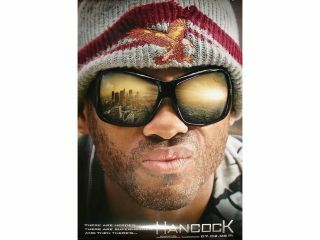 Howard Stringer, Sony's chief executive, has even named the first movie to get the streaming treatment and it's Hancock – the studio's Will Smith starring summer blockbuster for this year. Even though Sony has a vested interest in Blu-ray, it is great to see a company actually use its initiative and become competitive in all aspects of movie distribution, rather than staying stubborn and putting all its film eggs in one basket.